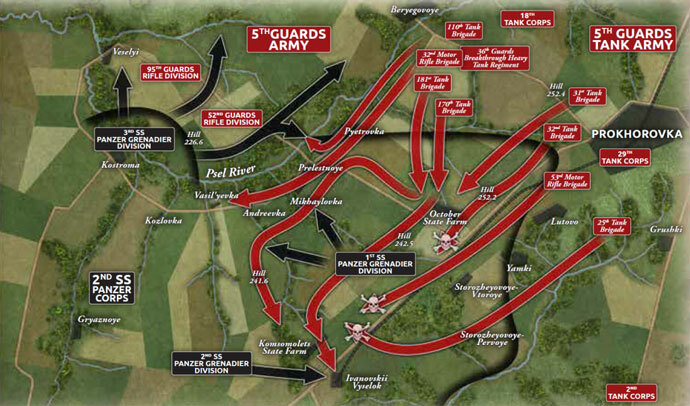 Both Red Banner and Ghost Panzers contain stories of great battles on the Eastern Front. One such battle, famously one of the largest and fiercest tank battles of the Eastern Front, took place outside the small town of Prokhorovka. 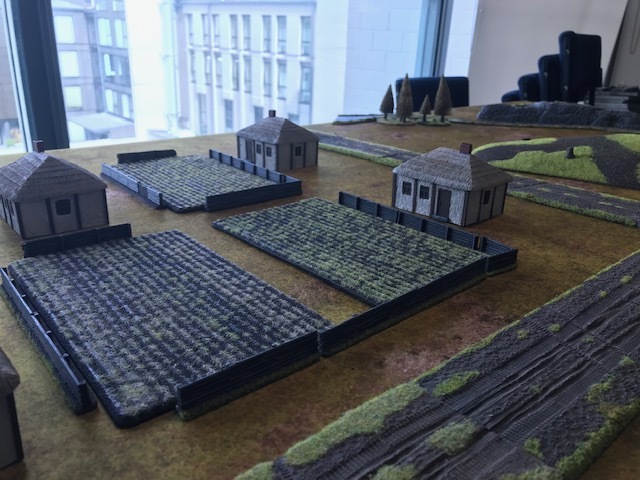 Using Battlefield in a Box terrain, you can recreate any number of historic battlefields for your Ghost Panzers and Red Banner armies to fight over. 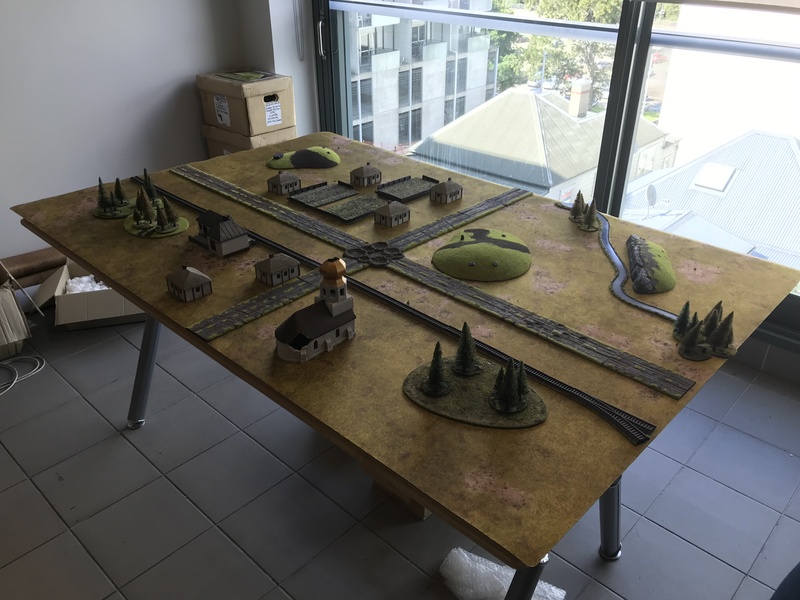 Knowing that I had a Live Launch to orchestrate, which would inevitably require battles needing to be fought, it seemed a fair opportunity to whip out some of the studio Battlefield in a Box terrain and put together my own representation of the Prokhorovka battlefield. As an aside, it is probably prudent to mention that on a 6 x 4 table it is unlikely that one will be able to represent a full scale battlefield such as the one shown in the image above. As such, I settled on a particular section of the battlefield to represent. This gave me the chance to cover the battlefield in enough detail to make it recognisably Prokhorovka, without trying to condense hundreds of miles into a few feet. Perfectly illustrative of combat during the Battle of Kursk, fighting around Prokhorovka, especially in and around the October State Farm, took place place over expanses of Russian steppe punctuated by the occasional village and forest. Hill 252.2, captured by 1st SS Panzer Division Leibstandarte SS Adolf Hitler on July 11 offered a commanding position over the field of battle. 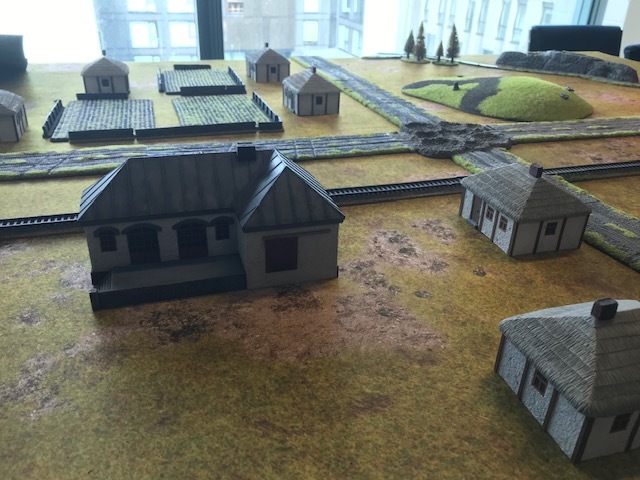 To recreate the battlefield around the October State Farm, I had to focus on some key features. 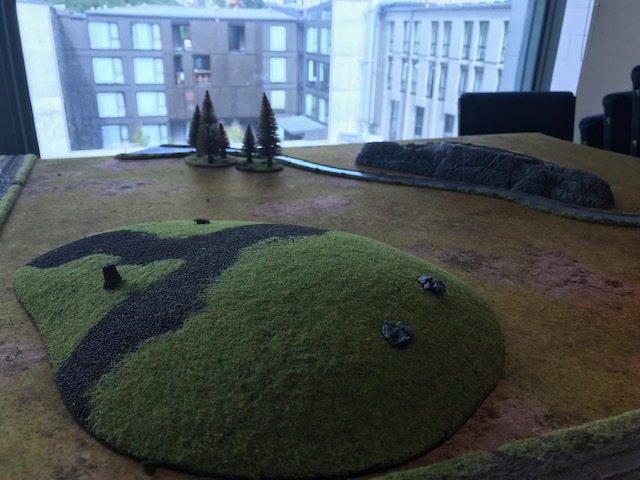 Using Battlefield in a Box 2019 Premium Terrain Sale Rolling Hills, I was able to recreate the two hills on either end of the battlefield. Rural Farm Buildings gave me what I needed to put together both the October State Farm and the small town just outside it. Rural Roads and Rural Road Expansions, as well as Train Tracks criss cross the board. Escarpments and Streams sit in one of the corners to represent the rocky streams the Red Army had so much trouble crossing. Finally, a few woods dotted about provide concealment as well as representing the heavily forested areas outside the farm. While it’s potentially a little too sparse for tournament play, the intention was always to evoke something of an ope Eastern Front feel.